I was so nervous to start with. Thinking everyone would be better than me fitter than me, thinner than me, this was a major worry. When I woke up that particular morning I knew my life was going to change. 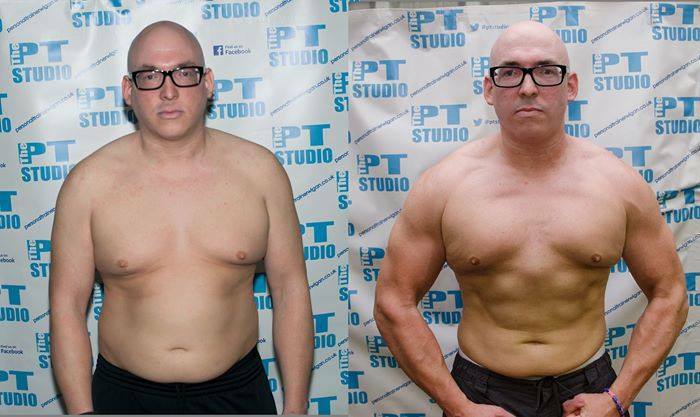 I knew The PT Studio was a place that people had achieved massive results. I was sick of the faddy dieting, the things I struggled with was EVERYTHING! Diet, training, focusing my brain, motivating myself – they are all key factors of a body transformation, but believe me when you get these key factors right, it changes your whole life and confidence. The worst thing about the nutrition is you can never tell on your self this is why The PT Studio was so good for me because at the end of challenge, one when you see the draw dropping pictures, it’s unreal and this was brilliant to track my progress in the 12 weeks. Let me also tell you this, there is no feeling like it. Happy, successful, new lease of life, everything! It’s amazing and that all the way through it, I kept me focus. 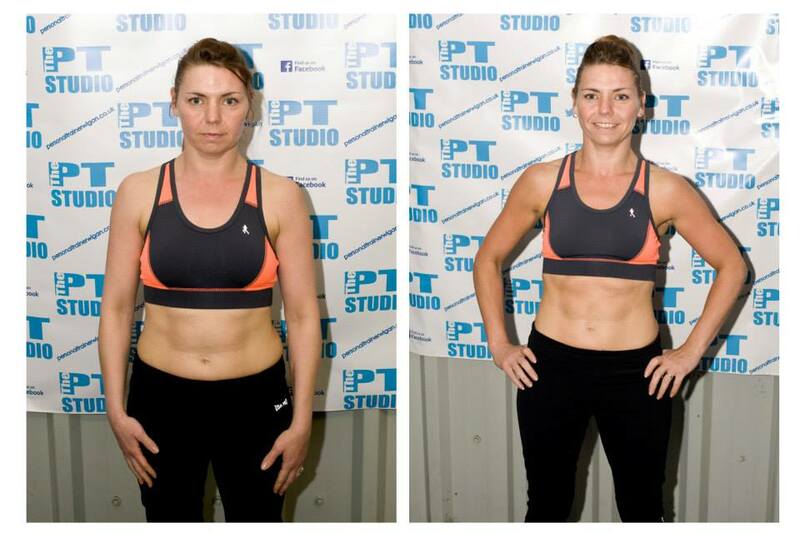 The overall experience down at The PT Studio was unreal, the explaining of the class, support from Ste and his team was friendly but yet very serious about getting you the results you want. Please don’t hesitate like I did for a long time and get signed up. Don’t waste any more time, make the changes and make them today. With the right gym that will cater for all your goals.